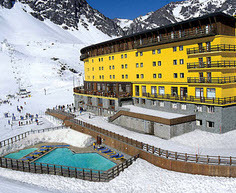 Tours de Sport Hot Deals: 15TH ANNUAL CHILEAN WINE WEEK AT PORTILLO! 15TH ANNUAL CHILEAN WINE WEEK AT PORTILLO! In celebration of Chile’s world renowned wines, Portillo will be hosting its 15th annual Top Wines of Chile Week. During the week of July 30th through August 6th - at no extra cost - guests will have the luxury of trying some of Chile’s top wines from the best vineyards. The winemakers will also hold information sessions in which guests may learn more about wine culture and the premium quality wines that Chile produces. Come and enjoy! Complimentary use of heated pool, jacuzzi, sauna, fitness center, full court gymnasium, aerobics and yoga classes, cinema, game room with rock climbing wall, children’s activities, disco, piano bar, ski check, boot check and timed race courses. Please go to the Portillo Ski Vacation page to start your custom trip quote and take advantage of this Hot Deal! Better yet, contact a Portillo ski and ride specialist at 888-754-2167.